Installing Windows 8 makes it seem that it is mandatory to create a Microsoft account, however the option to install without one is there, albeit wilfully buried. Logging out of the Windows Phone Tumblr app involves tapping 'Manage', then a little '...' icon down at the bottom instead of having an option easily accessible from the main view. 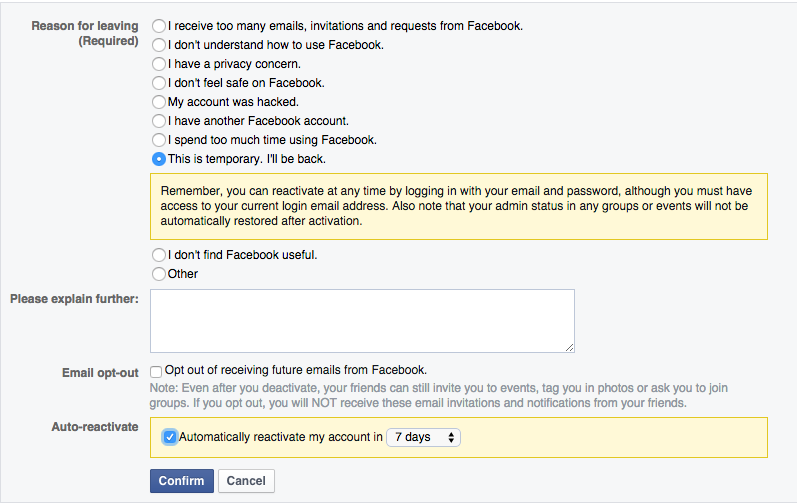 In a similar way I get the distinct impression that Google, Facebook and all the others subtly engineer the UI to make it, shall we say, non-obvious that logging out is an option because they want you connected to the mothership at all times. Am I being paranoid or is this a recognised thing in UI design? These are called 'Dark patterns' and these can be used in many different ways to influence users behaviour. 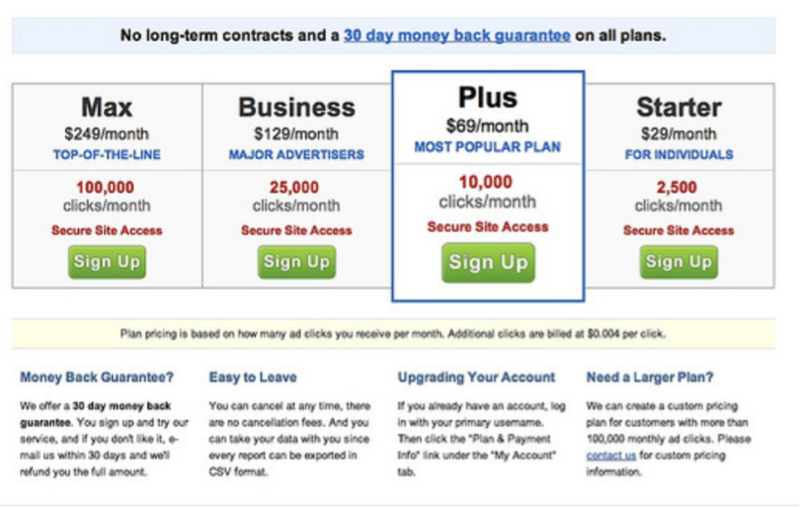 Retailers use dark patterns, for example, as a default adding an extended warranty into your basket and making the user delete it if they do not want it. This is indeed clever as it actually gets the customer to think about the extra item rather than immediately dismiss it. This is something we see fairly often as well and that is 'down selling' the retailer starts at a higher price point and then works down until the customer decides to purchase, this is present on website as preselecting a higher priced item. 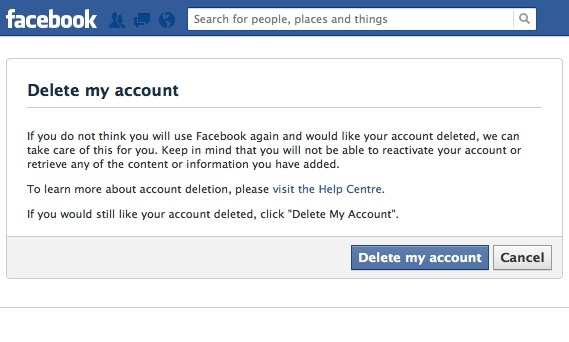 Just noticed as well Facebook have added a new feature in their account deactivation screen - giving the user the option to automatically activate their account in x days. A clever way to get users to come back to the site a bit quicker. Design is about persuasion. Marketers first codified many of these persuasive behaviors in the mid-1930s. It took until the turn of the century for economic researchers and psychologists to work out why people respond to these behav- iors in the way they do. Now you can learn how to apply this knowledge in inter- action design. Sites capitalize on our weaknesses. Sometimes their intentions are good, but mainly they do this for “evil”—in other words to profit at our expense. The best sites manage to make us feel good at the same time. Unfortunately, our society doesn’t adhere to a universally agreed-upon set of ethics. We do have social and cultural norms, but within those norms ethics can vary greatly. In his book Persuasive Technology, BJ Fogg offers a practical methodology for analyzing ethics. He recommends that you list all the stakeholders—anyone involved with the persuasive technology. Next, list what each stakeholder has to gain and lose. Then evaluate which stakeholder has the most to gain and who has the most to lose. And finally, determine ethics by evaluating the inequities between different stakeholders. You can also read "Evil by design". I didn't by the book yet but intend to. A free chapter of the book can be found here! There are a few things going on here in your examples. The Windows 8 login absolutely encourages you to use a Microsoft account, yes. And, yes, the option to login without one is not prominent. But calling it "willfully buried" is a stretch — it's written in plain text on a page with very few other options or actions. There are lots of UX benefits to having a linked Microsoft account and I think it's within the bounds of good UX to encourage signing up in this way. Not putting log-out on a main menu in a mobile app is, I think, similarly defensible. On a mobile social network app, logging out is going to be a very rare task for the vast majority of users. Having such a low-priority action high up in the menu hierarchy may not make sense when weighed against the other, more important every day actions a user takes. That said, there are ways to design a menu hierarchy such that the log-out action is deep in a menu but also easy to find. I haven't seen the specific Windows Phone Tumblr app, but the specific hierarchy you describe sounds pretty unintuitive. I'm not sure these should be considered 'dark patterns'; it's a gray area. Much like in the Windows example above, there's often a lot of benefit to the user to staying logged in — I can 'like' articles on other websites if I'm still logged in to Facebook, my search history is always tracked if I'm still logged in to Google. Yes, these are also massively beneficial to the companies themselves, but this is not a case where there is no benefit to the end user to staying logged in, or, as in the case of an egregious dark pattern, an actual detriment to the end user experience. To your question, "Am I being paranoid or is this a recognised thing in UI design? ": yes, balancing business goals with a good user experience for the use cases is the purview of UI design. Putting 'log out' somewhere other than in the top level hierarchy often makes sense for specific applications given these various concerns. Not the answer you're looking for? Browse other questions tagged interface facebook google dark-patterns or ask your own question. Is there a UX practitioner's code of conduct/ethics guide? How to handle success feedback message for negative setting preferences? What are the advantages and disadvantages of “minimal” design? user interface for multiple selection filter? How to build website mockups / interface design?